The Trout Unlimited vision statement is "to ensure that, by the next generation, robust populations of native and wild coldwater fish once again thrive within their North American Range, so that our children can enjoy healthy fisheries in their home waters." The Sal font Chapter believes strongly in the mission/vision of TU. We engage and challenge the anglers of Central West Virginia to develop long term projects to improve the watersheds and management of the native and wild trout fisheries in our area. 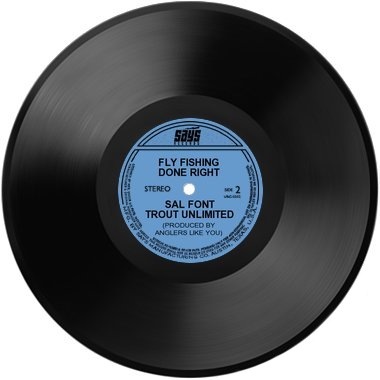 The name "Sal font" is short for Salvelinus fontinalis which is the scientific name for the brook trout. The brook trout is the only native trout to the eastern USA and West Virginia - meaning it was put here by our divine creator, not by man-made interference. The brook trout only live in cold, clean water and are an indicator species of watershed health, but mere presence of the species doesn't indicate a healthy watershed. The Eastern Brook Trout Joint Venture identified most waters in West Virginia as having greatly reduced populations of brook trout due to a vast number of human impacts. Trout Unlimited is the sole sportsman organization in West Virginia advocating for and working to improve these fragile headwaters. In 1973 the brook trout became the official state fish of West Virginia. 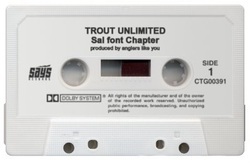 The Sal font name is in honor of this remarkable species and our West Virginia sporting heritage. Being a volunteer leader of something this important is almost as rewarding as being a father and equally as satisfying when done right.